“Shall we celebrate National Tree Day again this year, Sheamus?” I asked last year’s volunteer coordinator. “Of course!” was the prompt reply. As it turned out, we celebrated twice! 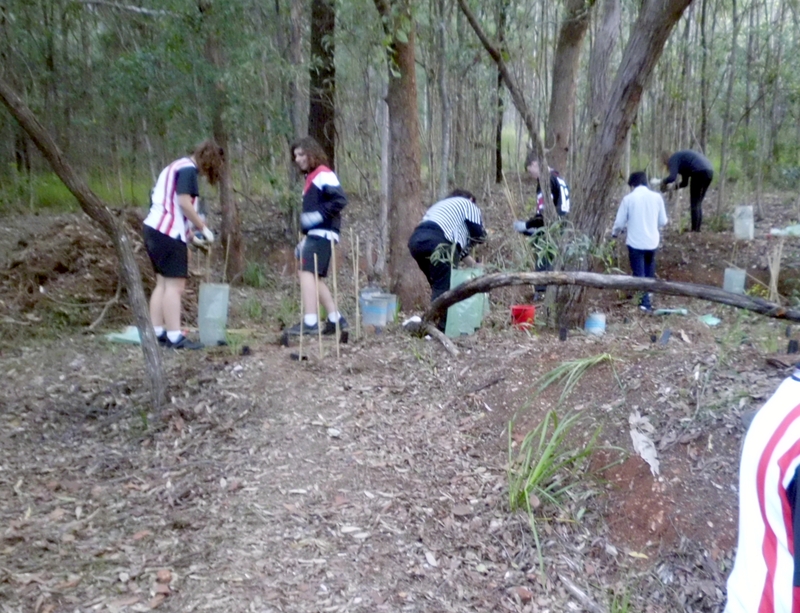 On Wednesday 25 July, students and a science teacher from Mt Gravatt High School, together with a team of Griffith University students rallied to plant 100 native tubestock, specially chosen to provide food and shelter for birds, butterflies, bees – and of course, our resident koalas! What a great team! In just over an hour all the plants were in the ground and it was time to protect them with plastic sleeves, supported by cane stakes. 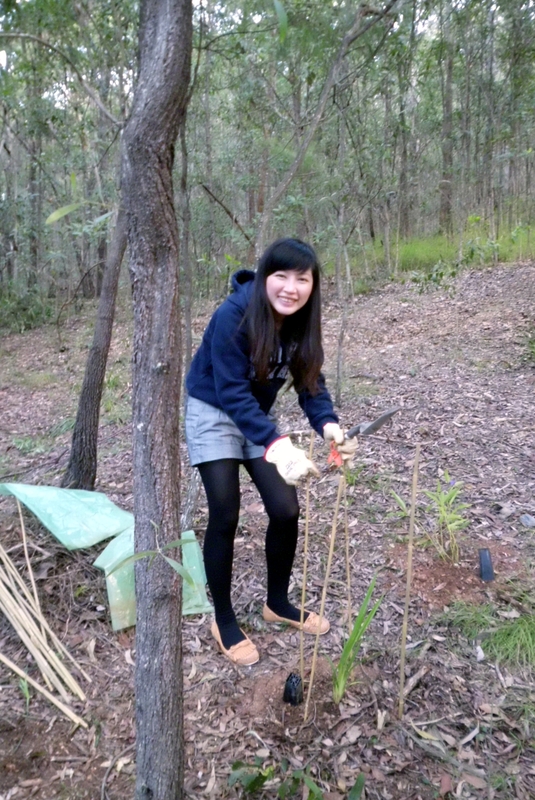 It was great to welcome Griffith Uni students back to our site for this celebration, as they had spent many hours tediously clearing the area of Creeping lantana Lantana montevidensis last university semester. On Saturday 28 July, we had ready another 40 plants to be put in by volunteers who couldn’t join us on Wednesday. 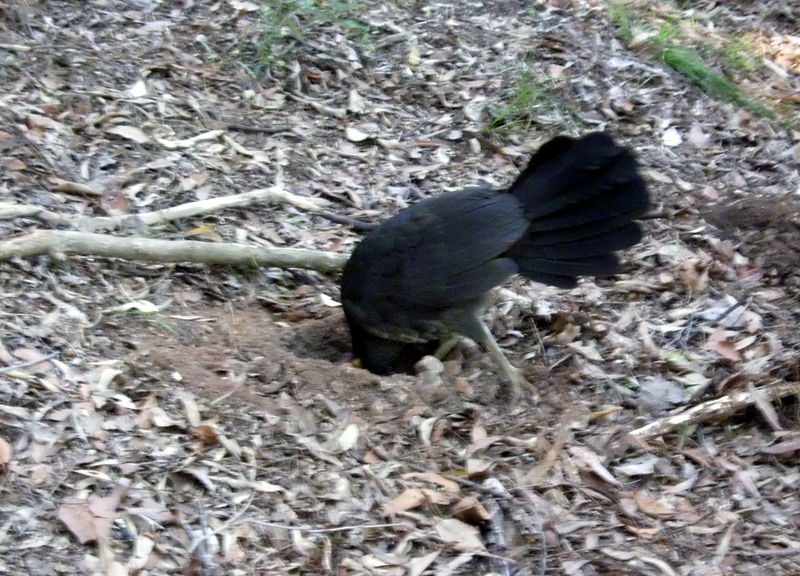 When I arrived on site, I found a female Brush-turkey Alectura lathami checking out all the holes prepared for planting. Her curiosity and anticipation of a free meal made me laugh. We had …. volunteers of all ages turn up: a special thanks to the three grandparents who more than pulled their weight. 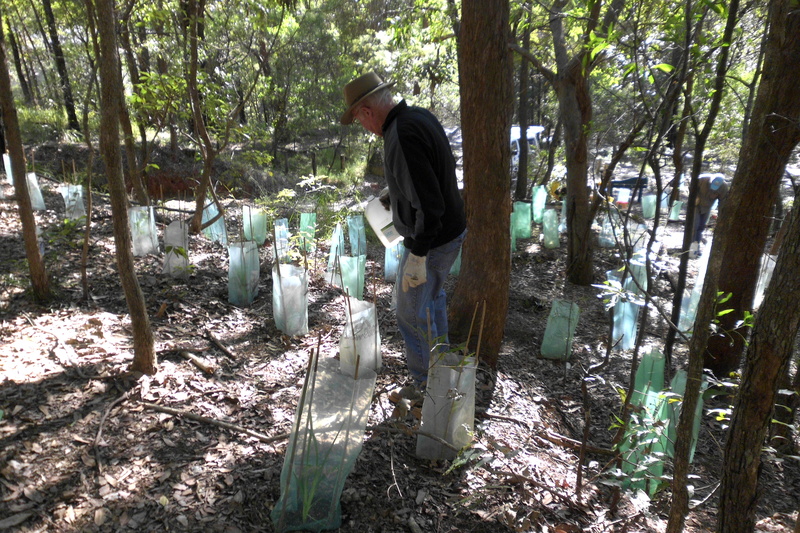 Our 2012 National Tree Day planting was a great success: “ thank you” to everyone involved. 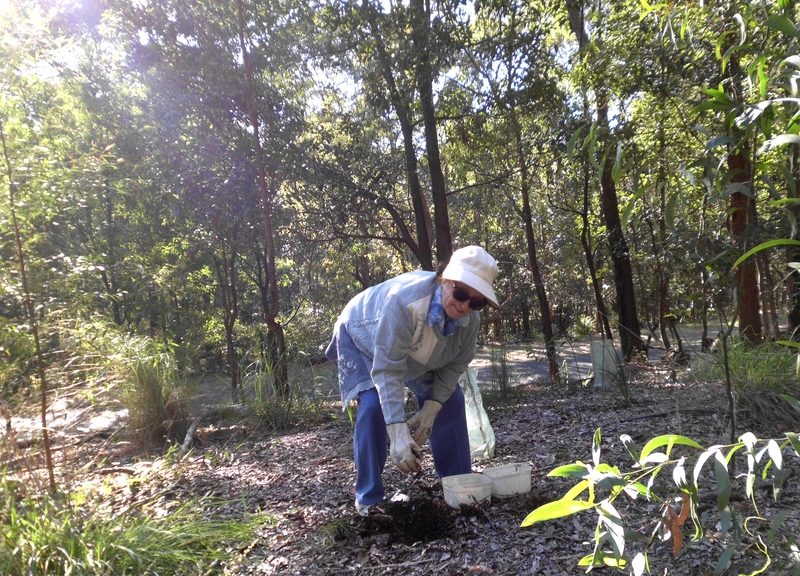 Your generous contribution will enhance amenity for community users and provide healthy habitat for wildlife in our 66 ha Mt Gravatt Conservation Reserve.